Hayden Paddon is almost certain to continue with Hyundai in the 2019 World Rally Championship. No decisions have been made, and no contracts signed, but Hyundai WRC team boss Michel Nandan has given a hugely positive commitment to Paddon’s future. The French team boss, talking exclusively to Speedcafe.com ahead of Rally Australia in Coffs Harbour, says he is optimistic about offering a sixth year to the New Zealander in a Hyundai i20 WRC. “Let’s say, it’s 80 percent,” said Nandan. 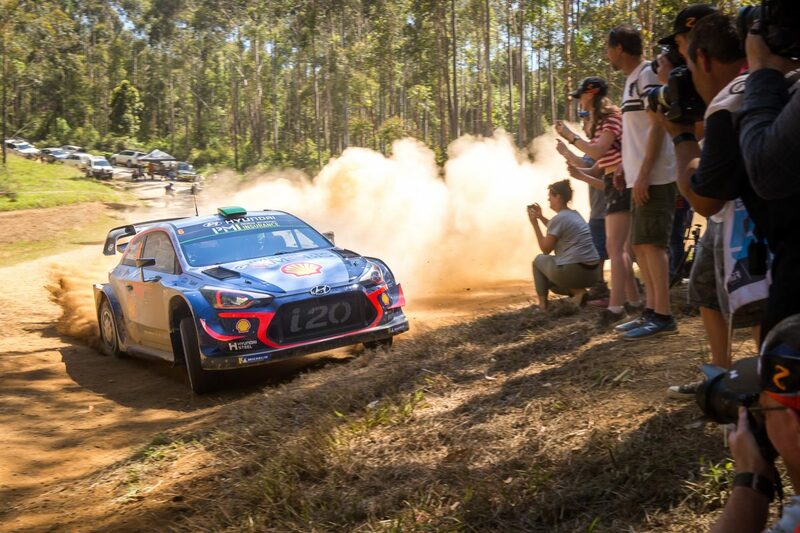 Paddon has scored a single win and a further five podium places during his WRC career with Hyundai, including a podium finish at Rally Australia in 2017. But he has been forced to share the third car in the team’s three-car lineup through this year’s championship with Spanish veteran Dani Sordo, usually taking priority on gravel events with his team-mate taking the car for bitumen rallies. The car pooling approach comes as Hyundai is committed to a full program in all 14 events with its two lead drivers, championship contender Thierry Neuville and former Volkswagen driver Andreas Mikkelsen. Nandan’s view is good news for Paddon, who is still waiting to hear from Hyundai. “I know nothing. We’ve been talking for two months and nothing is finalised,” said Paddon. Nandan is not planning any contract talks until Rally Australia is done, as his team and leader driver Neuville are both in contention for world title success. But he confirms that, with more driver moves for 2019 than in any recent season, the shared approach for the third Hyundai works for the team.